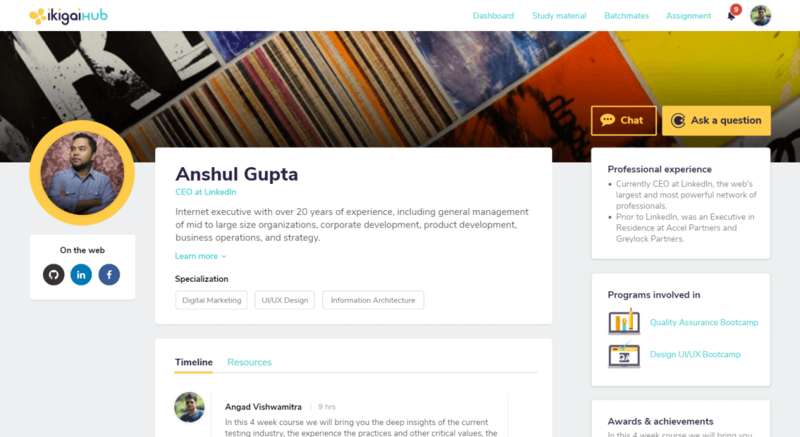 ikigaiHub is a comprehensive learning Bootcamp for freshers and job seekers. The Hub helps to develop the perfect set of skills amongst freshers and job seekers and get them job-ready. ikigaiHub is a grooming Bootcamp which is unique and different from other training centers. 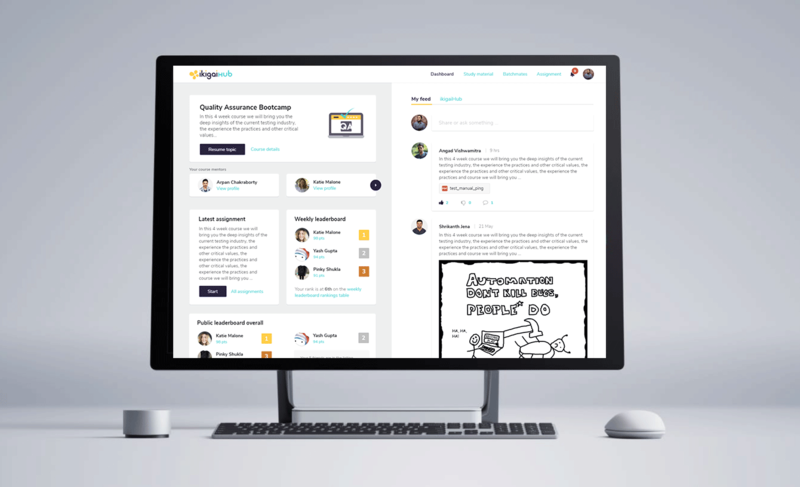 The founders wanted the website to be detailed and learner-engaging. The website was also supposed to cover students from all the course backgrounds. Since it is a startup, we had to ensure that none of the areas were left uncovered. We wanted to design a website which was both user-friendly and mobile -friendly. A great deal of time was spent to find an apt name for the Bootcamp. After a lot of research, we finalized on ikigai, which means a reason for being. 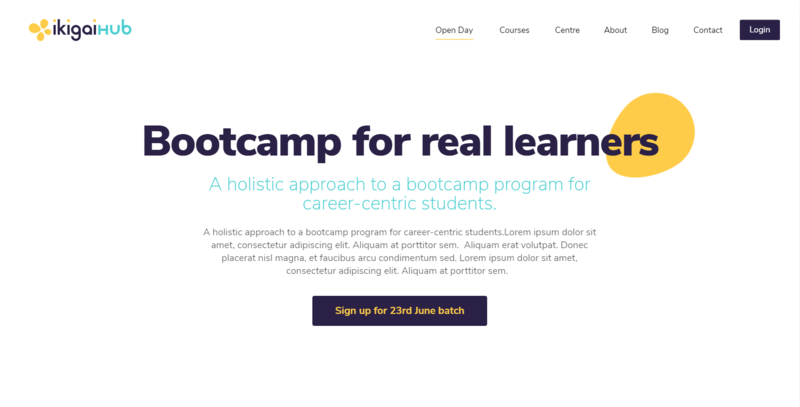 Since the Bootcamp aims to help the individuals to carry the right attitude for the job search, we couldn't have come up with a better name than this. Not just a Logo, it’s an Experience! 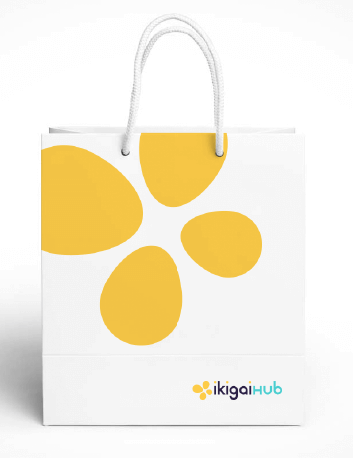 We spent over 70 hours on Branding ikigaiHub. We chose a minimal palette, clear hierarchy, and ample white space to ensure a voice of authority and expertise in communication. Yellow is psychologically the happiest color in the color spectrum. It connotes optimism, warmth, and clarity. It's the color of happiness, enlightenment, and creativity. Blue represents trust, responsibility, honesty, and loyalty. This color exhibits inner security and confidence. It helps with clear thinking and decision-making. Purple combines the calm stability of blue and the fierce energy of red. Purple is associated with wisdom, dignity, independence, creativity, and ambition. ikigaiHub serves to bridge the skills gap between the fresh graduates and the industry needs. ikigaiHub guides newly graduated students/job seekers/ candidates who are looking for a transformation. ikigaiHub is a platform providing multidisciplinary courses that would draw candidates from different backgrounds. Keeping all these factors in mind, our Design Team created a Logo which looks like a silhouette of butterfly wings. The logo is designed to make it appear as if the butterfly is inclined at an angle which signifies gradual and steady progress. It also comprises four similar, yet differently sized elements(wings), to portray diversity. We also ensured that the typography played an equal role in setting the tone, theme, and message of the website. Suitable font size and color, sufficient spacing were given importance so that none of the vital information is missed by the user. Our expert UI/UX designers developed an outstanding website user interface which is both user-friendly and mobile friendly. A good amount of time was invested in creating a sitemap, wireframes, and prototypes. Every single page on the website was given equal importance and consistent design and layout has been maintained throughout. 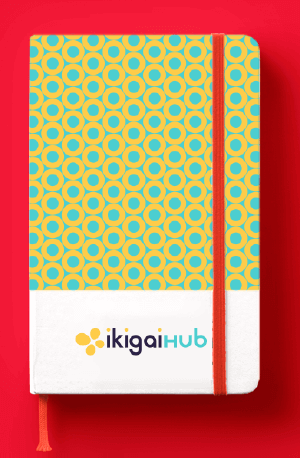 The website also gives a link to the ikigaiHub Portal. 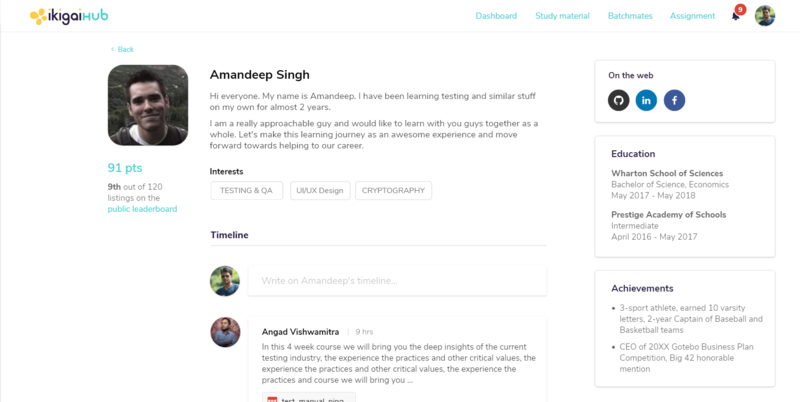 This portal basically is an interactive platform for the learners as well as the mentors. 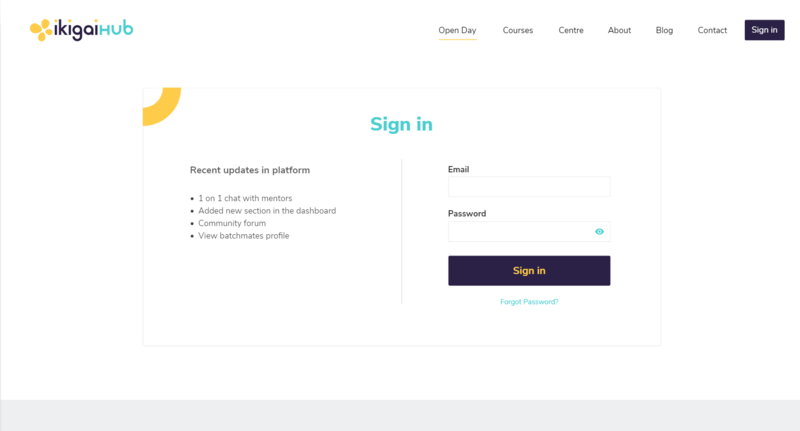 The portal needed to be designed in such a way that it covers almost all the activities, beginning from assessment test, attendance to messaging activities. The ikigaiHub Portal is designed in such a way that it provides a personalized experience to its users. Assessments of the learners are done at various stages by ikigaiHub and is one of the most important pages. We envisioned a website which is simple and easy to understand. 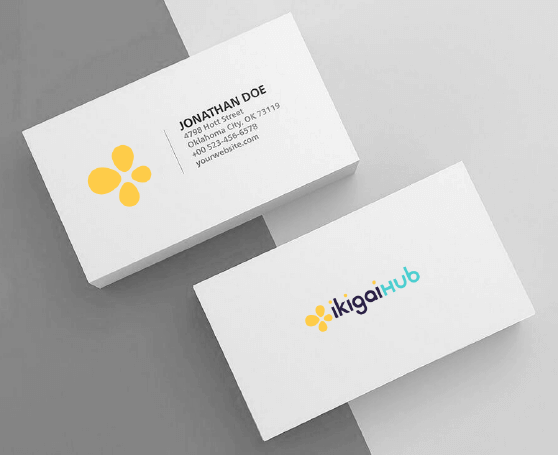 ikigaiHub is one of the most constructive projects for both us and the users.